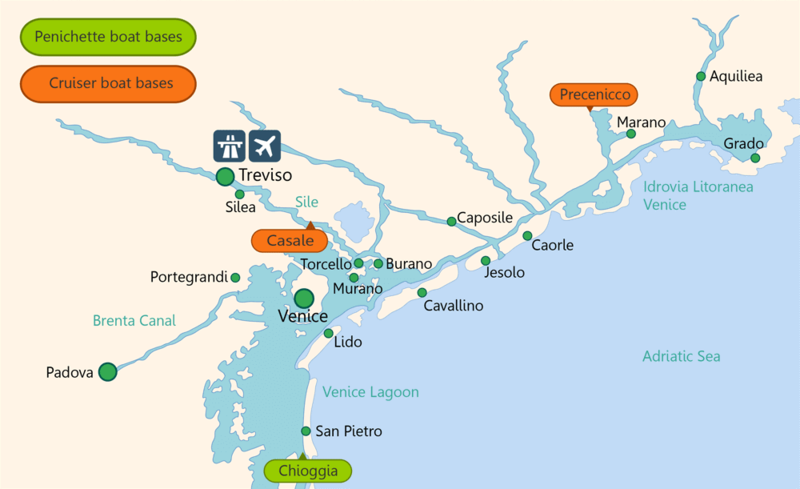 Cruise to Venice (as above) then return north to Jesolo, one of Italy's largest seaside resorts with 15km of fine beaches. Then return up the Sile river to visit Quarto D'Altino and Treviso before returning to Casale. Please note that hours suggested above are approximate, and very dependent on which of the many possible routes are chosen. Because of the open nature of the Venice lagoon and the number of boats and ships using it we recommend these cruises to people with some boating experience.